Commodity Trading News And Technical Analysis Reports. 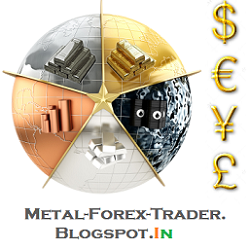 : Commodities Futures Market - Hedgers And Speculators. Commodities Futures Market - Hedgers And Speculators. Most of the participants in the futures markets are Commercial or Institutional traders of the commodities they trade. These Hedgers may use the commodity markets to take a position that will reduce the risk of financial loss due to a change in price. Other participants, mainly individuals, are Speculators who hope to profit from changes in the price of the futures contract. Speculators typically close out their positions before the contract is due and never take actual delivery of the commodity (e.g. grain, oil, etc.) itself. Investing in a futures contract will require you to open up a new brokerage account, if you do not have a broker that also trades futures, and to fill out a form acknowledging that you understand the risks associated with futures trading. Each commodity contract requires a different minimum deposit, depending on the broker, and the value of your account will increase or decrease with the value of the contract. If the value of the contract goes down, you will be subject to a margin call and will be required to place more money into your account to keep the position open. Due to the huge amounts of leverage, small price movements can mean huge returns or losses, and a futures account can be wiped out or doubled in a matter of minutes. Most futures contracts will also have options associated with them. Options on futures contracts still allow you to invest in the futures contract, but limit your loss to the cost of the option. Options are derivatives and usually do not move point-for-point with the futures contract.